We all have encountered orchids in our lives, some species, such as the Phalaenopsis or moth orchids, are popular as a houseplants. 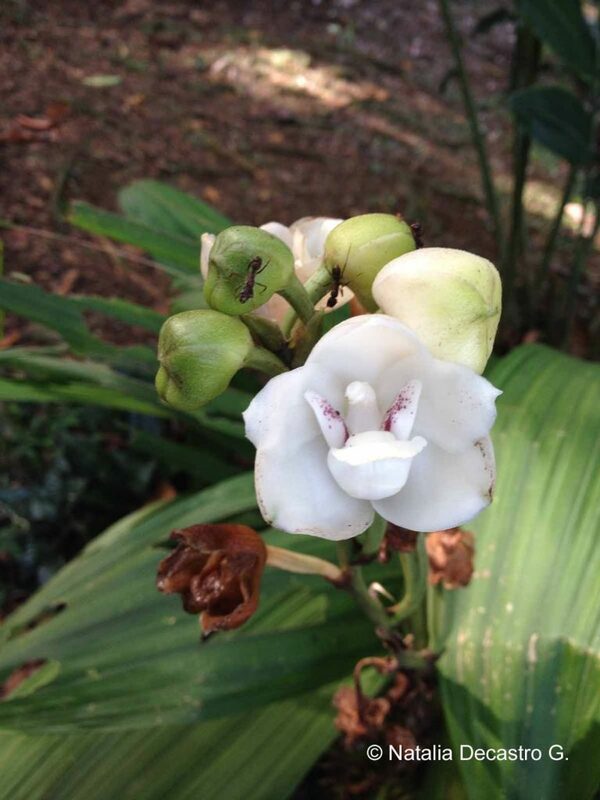 In the tropics we find some plants of this group blooming throughout the year. 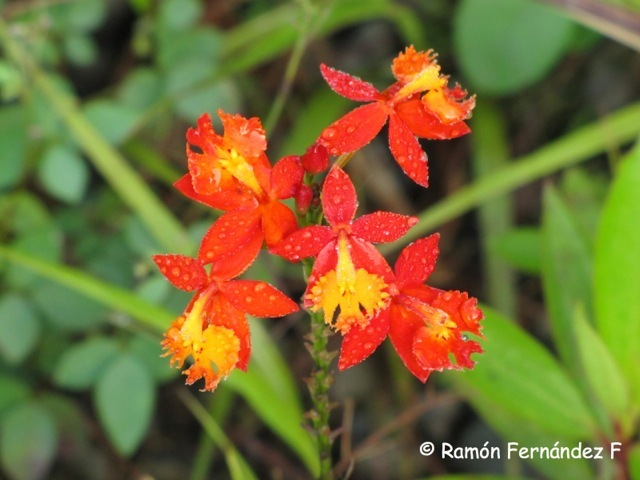 A common orchid found on the roadsides or within the grasslands of the mountains of Bocas del Toro and Chiriqui is the Epidendrum radicans, known in Spanish as a fire star or rainbow orchid. Its bright yellow, orange, and red flowers gets everyone’s attention. The flower opens with two colors, yellow and orange, and when it gets pollinated it changes color to an uniform bright red color. Not as common, but a good example to show the diversity of this group is the Slipper orchid or Lady´s slippers (Phragmipedium longifolium). 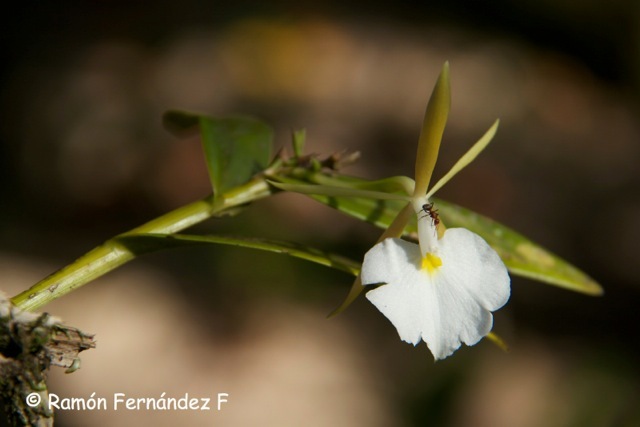 It has a wide distribution in the temperate areas from Mexico down to South America. 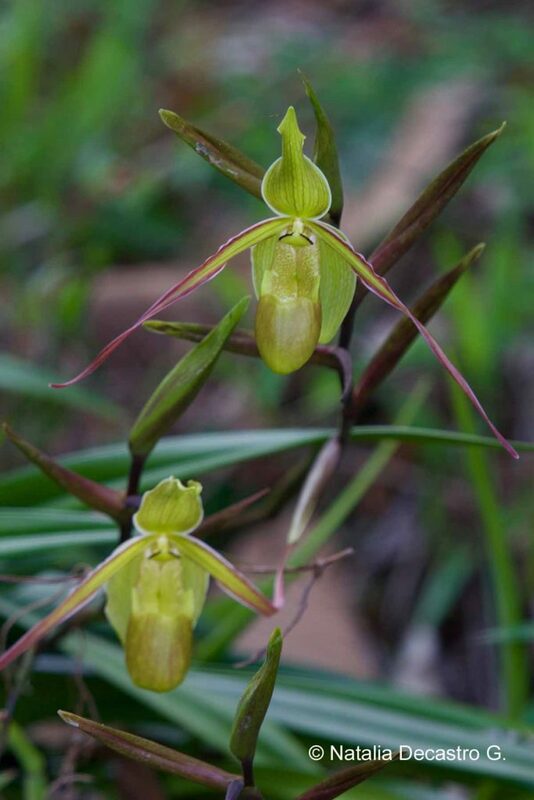 Insects pollinate all Slipper orchids. 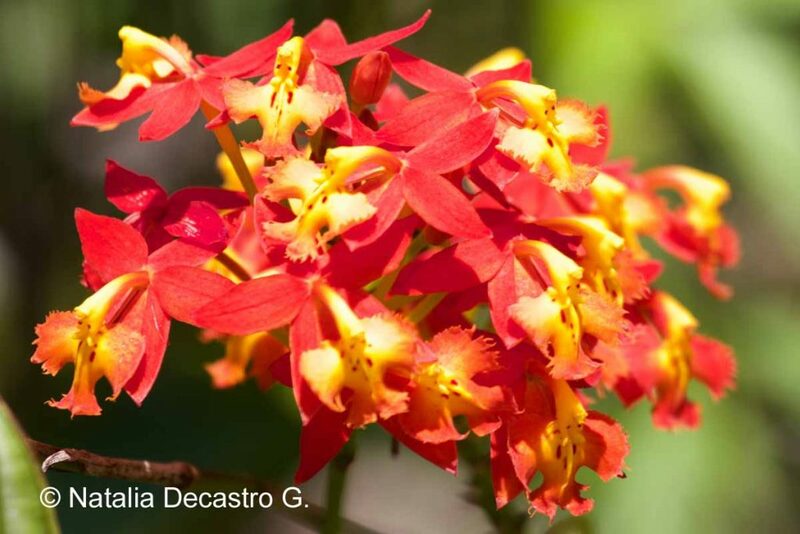 The insects are deceived because all the species in this particular group of orchids do not produce nectar or any other reward for its pollinators. 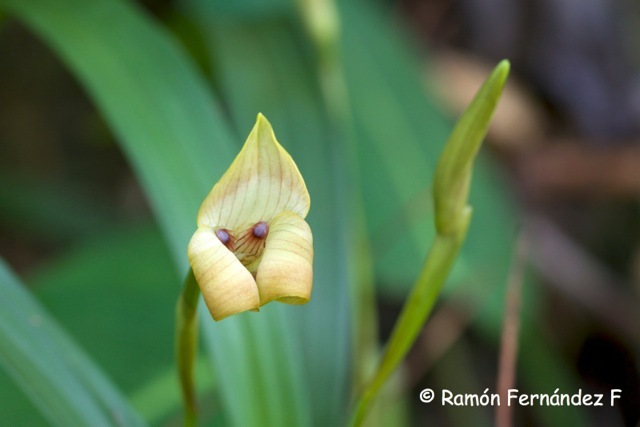 In Panama extraordinary biodiversity is not a secret. It´s a privileged location on the Earth. It is in a tropical area, joining two formidable masses of land (North and South America) and separating the Atlantic and Pacific oceans at the same time. But these facts are not the only reason, its topography, result of the dramatic geological events that lead to its formation, created so many micro-habitats. From the Pacific and Atlantic shore to the summit of Volcan Baru at 11,398 feet above sea level (3374 meters) many micro-climates occur. They all hold many different forms of life for such a small area of the world. So, what do you think it happens to the most numerous family in the Plantae Kingdom … the orchids? Well, of the more than 20,000 species that exist in the world, Panama hosts 1,200 of them. Bocas del Toro as a province holds it´s share!